The U.S. Naval Ammunition Depot, known locally as "the NAD," was the largest of the navy's World War II inland munitions depots, occupying almost 49,000 acres of Adams and Clay County farmland. Construction began in July 1942; loading, assembly, and storage of ordnance continued until final closing in June 1966. 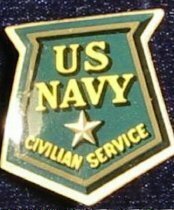 By V-J Day in 1945, the NAD employed 10,000 military and civilian workers. At one point during the war the NAD was producing nearly forty percent of the navy's ordnance, including sixteen-inch shells. Costing $71 million, the NAD had 207 miles of railroad track, 274 miles of roads, and 2200 buildings, including hundreds of igloo-shaped explosives storage magazines. The depot embittered farmers whose land was taken by the government, but it produced an economic boom as Hastings's population jumped from 15,200 in 1942 to 23,000 in 1943. A September 1944 explosion killed 9 workers, injured fifty-three, and left a 550-foot-long crater. The blast was felt 100 miles away and shattered windows for miles around. 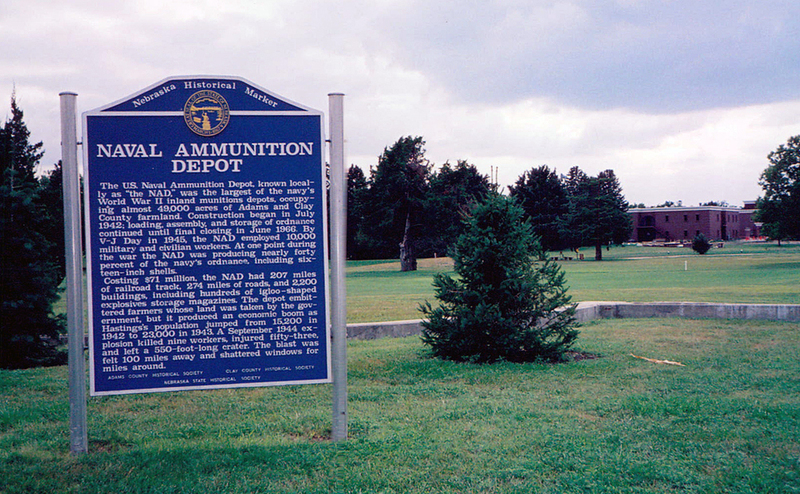 “Naval Ammunition Depot,” Explore Nebraska History, accessed April 18, 2019, https://mynehistory.com/items/show/5.